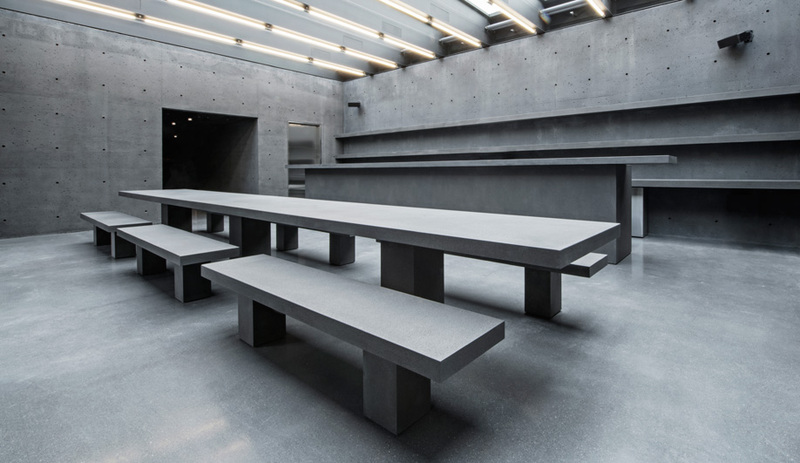 Don’t let the fact that Nendo’s new Tokyo flagship for Shiseido was driven primarily by cosmetic principles fool you into thinking it lacks depth. 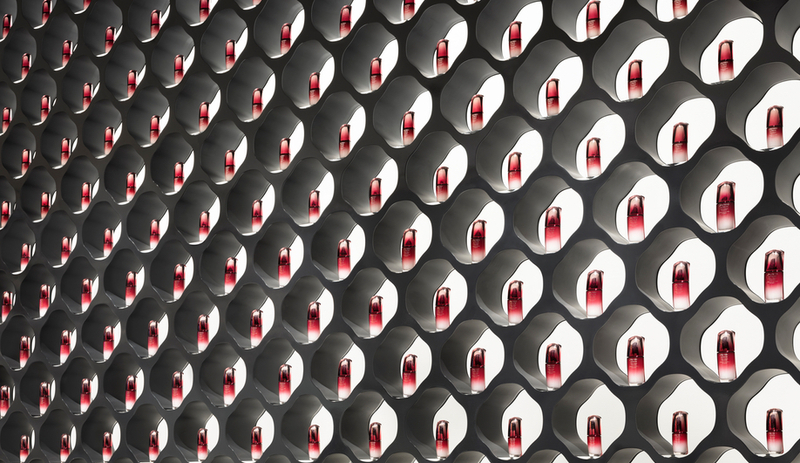 The largest cosmetics company in Japan, Shiseido was established in Tokyo’s Ginza district in 1872 as the country’s first Western-style pharmacy. 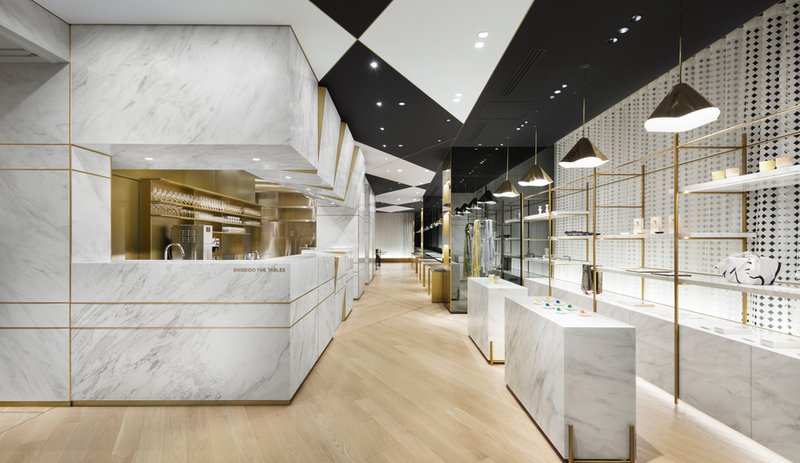 For the renovation of its flagship outlet in the same historic neighbourhood, Nendo embraced a design approach akin to applying makeup. 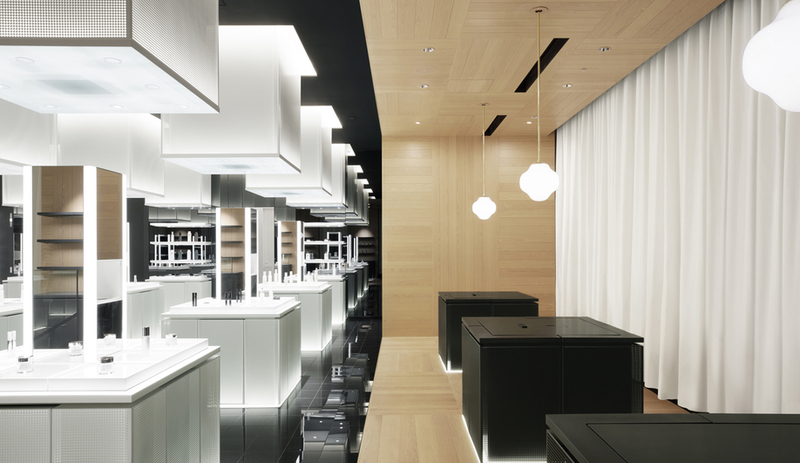 The first-floor product counter at Nendo’s revamped Shiseido store. Just as a typical Shiseido customer might first slather on moisturizer, top it with a foundation or primer and conclude with colourful surface touches such as lipstick or eyeshadow, the Nendo team assumed a layered aesthetic for the revamp, which covered four floors and a variety of functions and services: product counters on the ground floor, more stations plus a skin care salon on the second and a cafe and hair and makeup salon on the third. 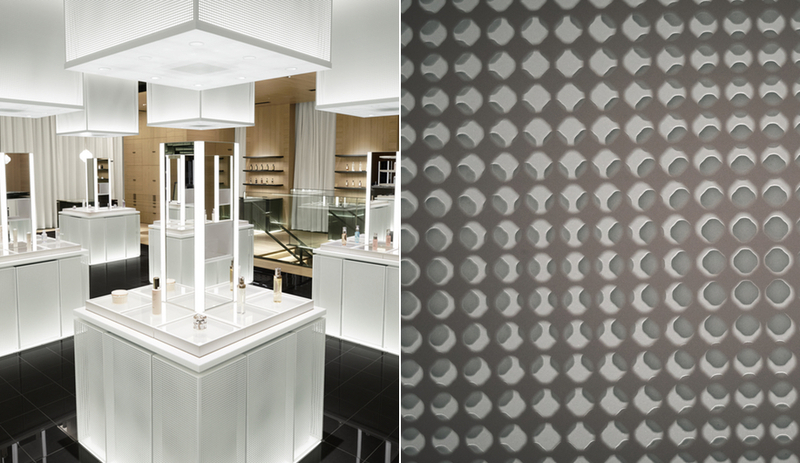 Skin care stations on the second floor of Nendo’s Shiseido store. 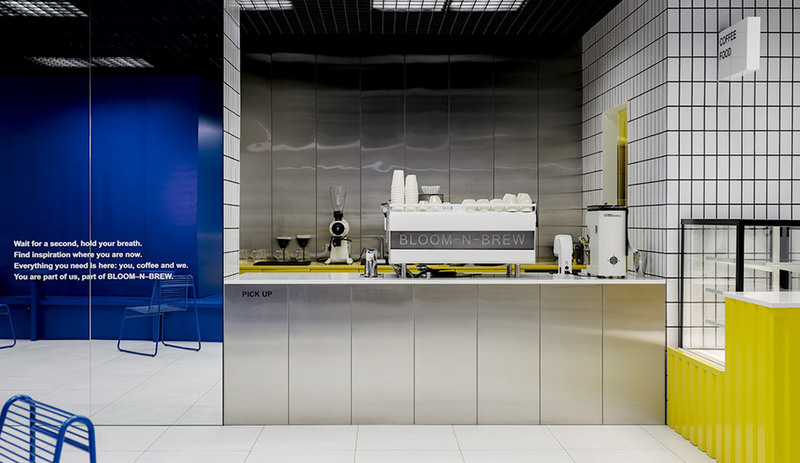 An event space and private booths for beauty consultations can also be found on the uppermost level. 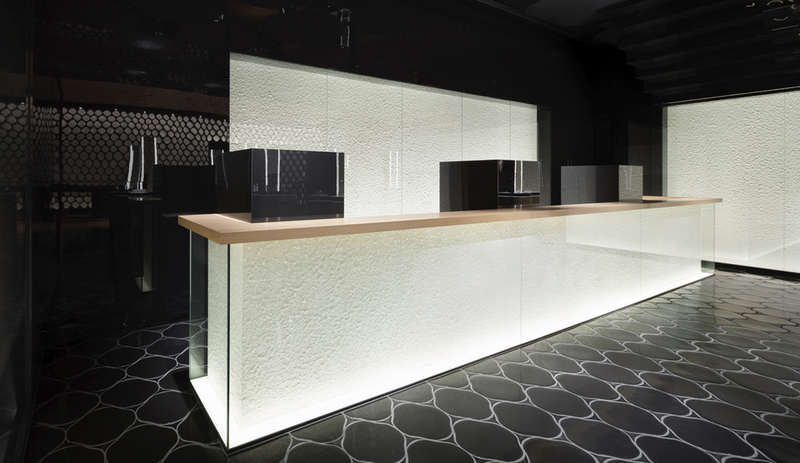 The event space and cafe on the fourth floor of the Shiseido flagship by Nendo. 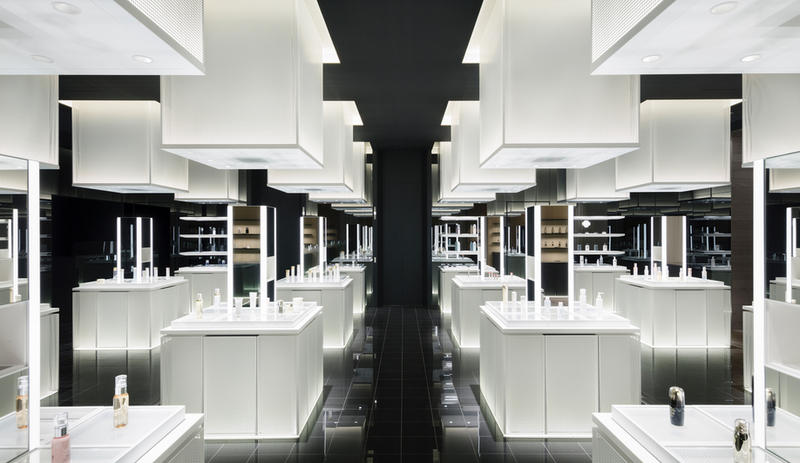 In some cases, actual Shiseido products, as well as makeup accoutrements, were enlisted by Nendo as design treatments. For instance, paper made from thinly spread cotton pads was used on some walls, which give off a soft glow when lit from below. 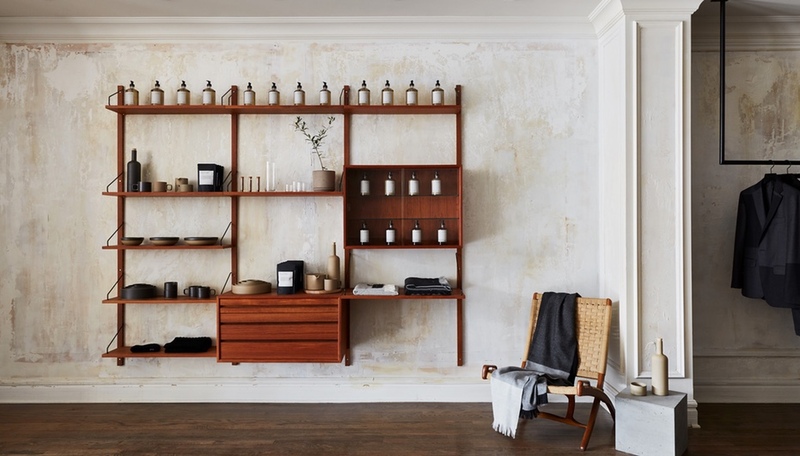 Camellia oil – a key ingredient at Shiseido, especially in its hair care products – was also applied to natural, unprocessed wood, lending it “a beautiful aged finish as time passes,” according to the firm. 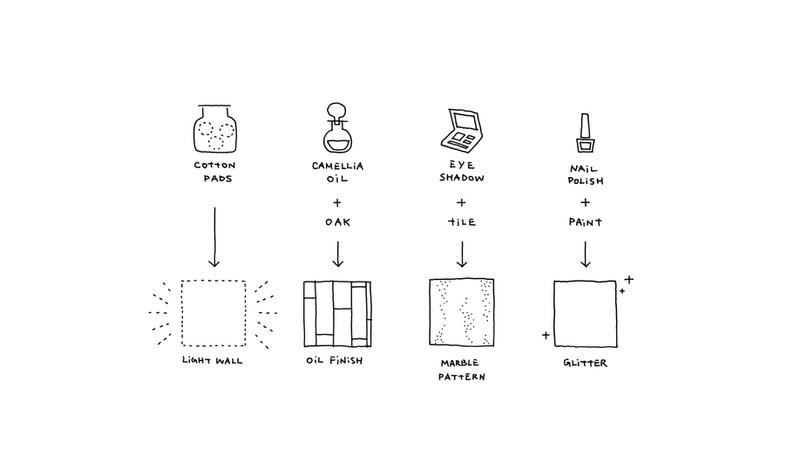 Paper made from thinly spread cotton pads adorn some walls. 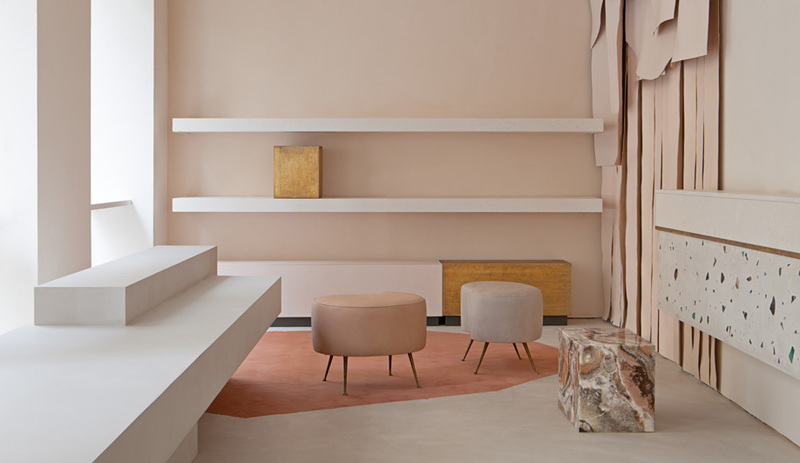 In perhaps the most inventive flourishes, eyeshadow was layered onto walls with makeup brushes to give them a marble-like finish, while nail polish was mixed into the paint used for ceiling art to lend the finished product a subtle shimmer that catches shifting light. 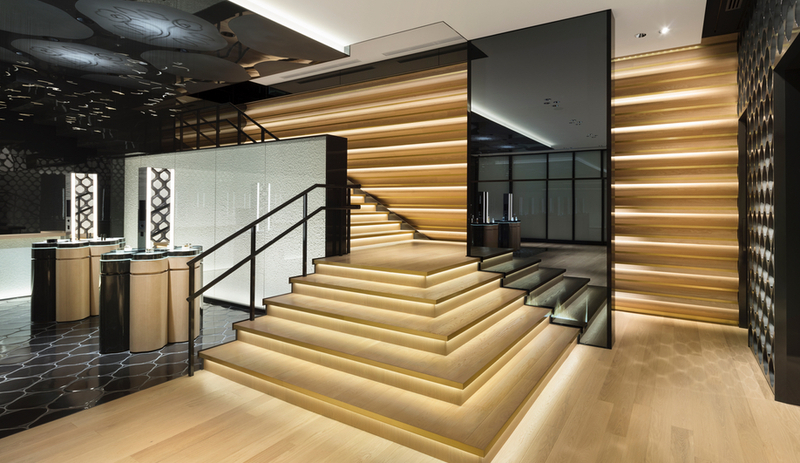 “Hidden touches like these have their roots in the Japanese sense of beauty and are a fitting expression of Shiseido’s perspective,” the firm explains. 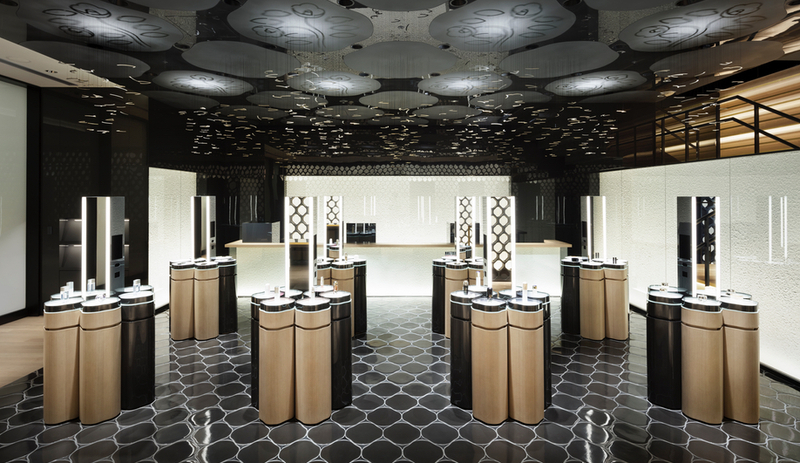 The camellia flower motif runs through the Shiseido store. 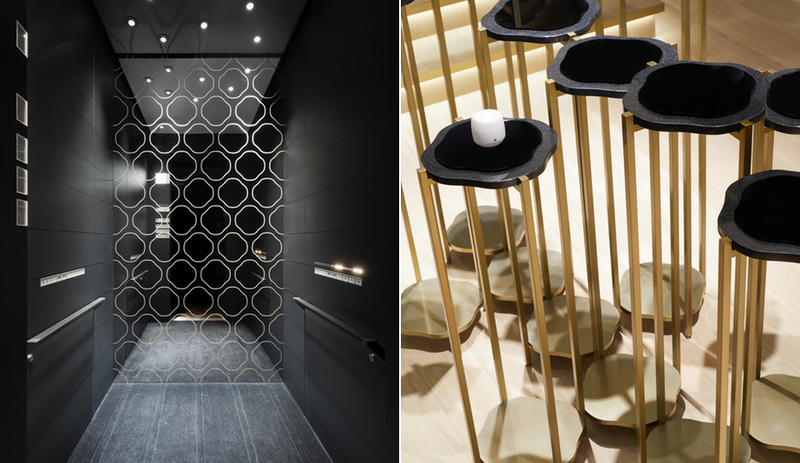 A more overt motif – the silhouette of the camellia flower, Shiseido’s emblem since 1915 – can be found throughout the space, appearing in the form of columns resembling sections of bamboo, as cut-outs in the style of kiri-e paper craft, in woven patterns evoking traditional baskets and modeled like traditional papier-mâché hariko. Finally, string curtains were used behind the windows of the building, with a traditional decorative knot called awajimusubi tied at specific points on the strings to form the outline of a camellia when viewed from afar. 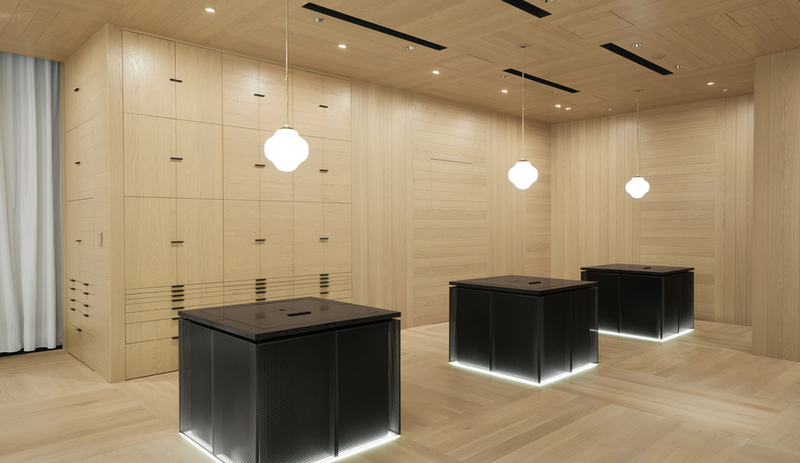 The awajimusubi knot is a traditional Japanese symbol for long-lasting bonds – just the kind that its client, Nendo says, aims to build and maintain with its customers.